It's that time of the year again when pumpkins are everywhere! For the first time ever, I got our family an orange one and a green one (buttercup squash?). 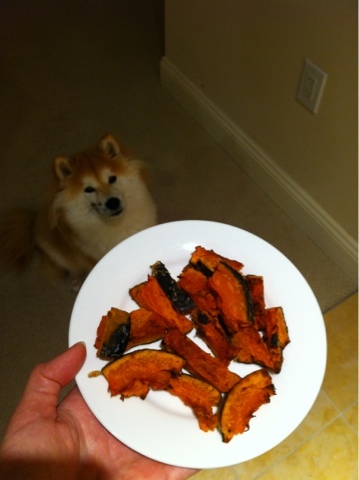 For Maya's treats, I cut the squash in half and steamed till it's soft, then cut it into pieces and baked at low temperature till it's dry. As for the humans, after steaming and cutting, I boiled it in some water mixed with salt and suger for a few minutes, then remove the water and let it cool off. Everyone in the family loved it! 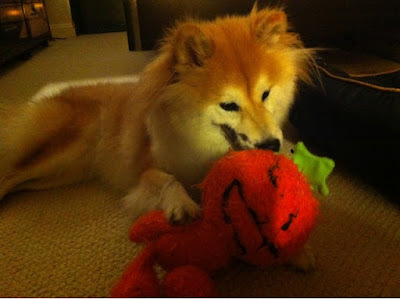 Speaking of pumpkins, one of Maya's favoriate toy is a pumpkin man given to Maya by a friend two years ago. 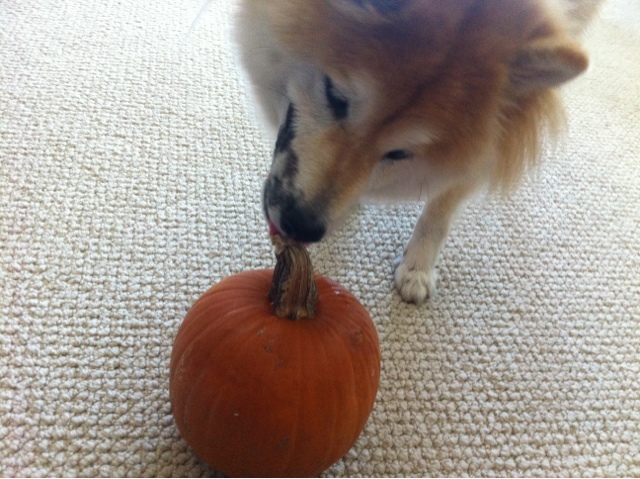 It didn't take long for Maya to chew off his face, but other than that, he's still thriving.